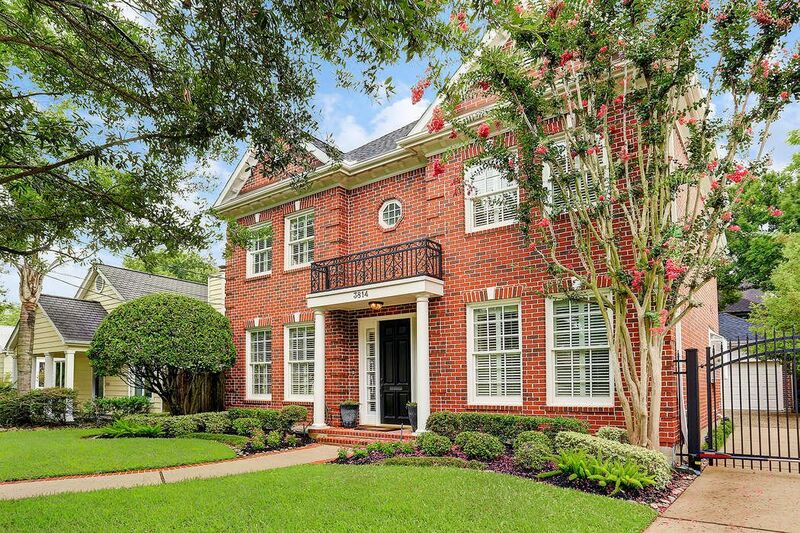 3814 Southwestern Street, Houston, TX 77005 | Martha Turner Sotheby's International Realty, Inc.
Timeless classic West U home on low traffic street. 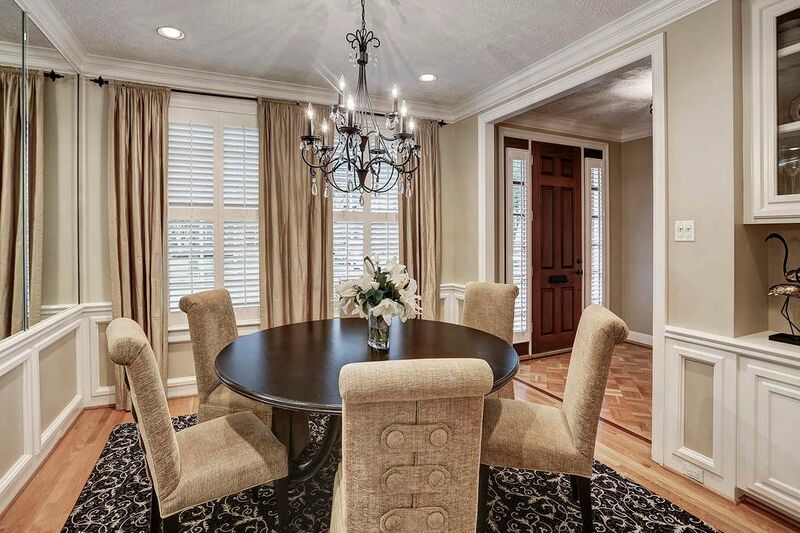 DINING ROOM (13X12) is perfectly suited for any shape table. 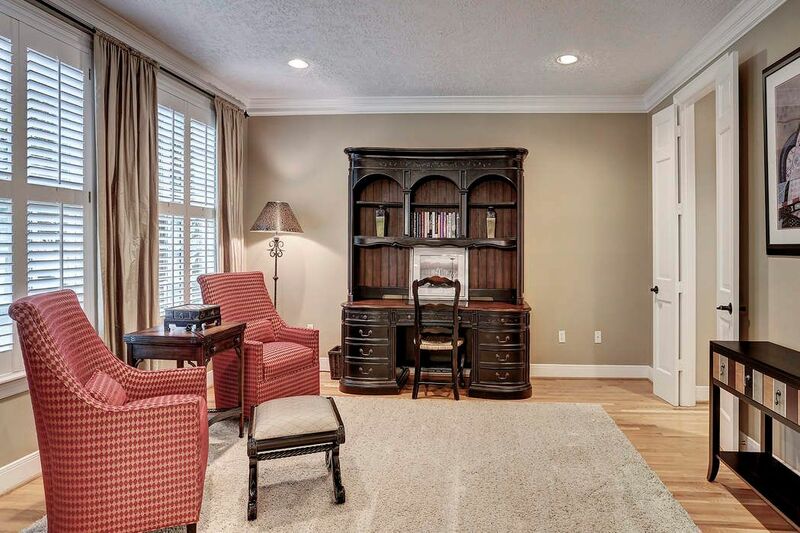 The LIVING ROOM offers flexible space for a home office. 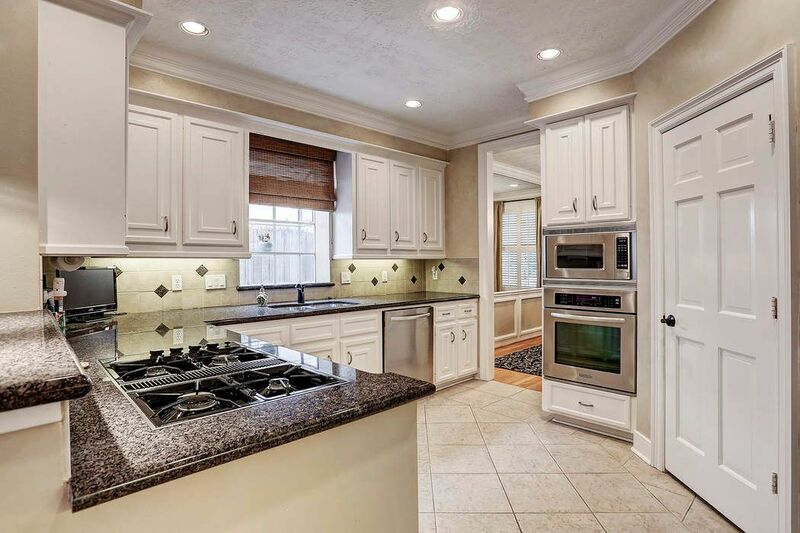 The KITCHEN features Jenn-air gas cooktop with Kitchen Aid for the other appliances. 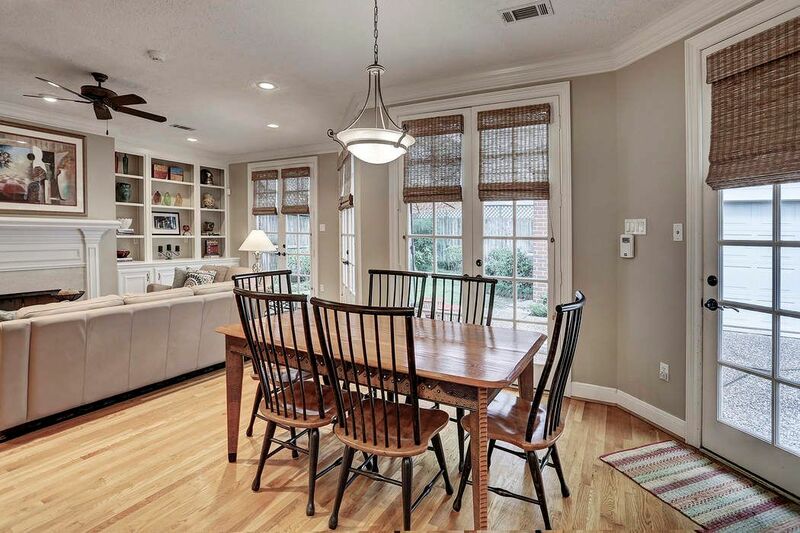 This over-sized BREAKFAST ROOM (13x11) is perfect for meals, crafts, homework and more. 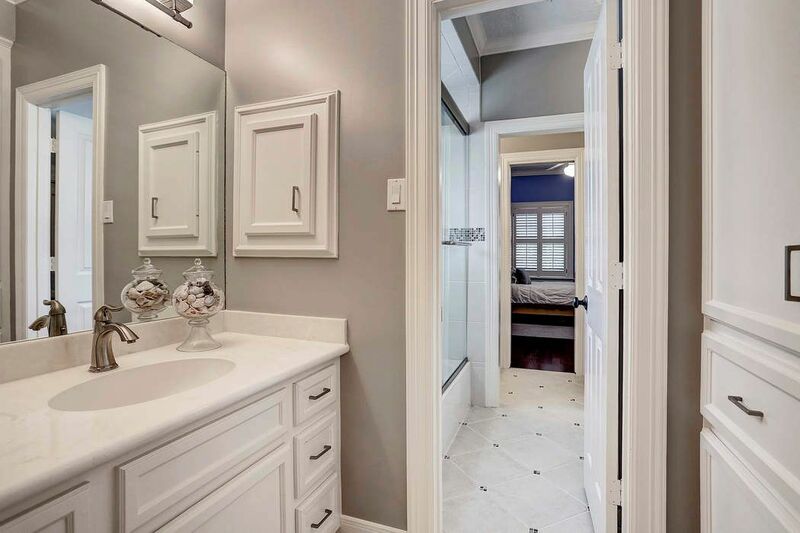 Note the closet located just inside the back door. The BREAKFAST ROOM benefits from the natural light coming from the floor to ceiling windows. 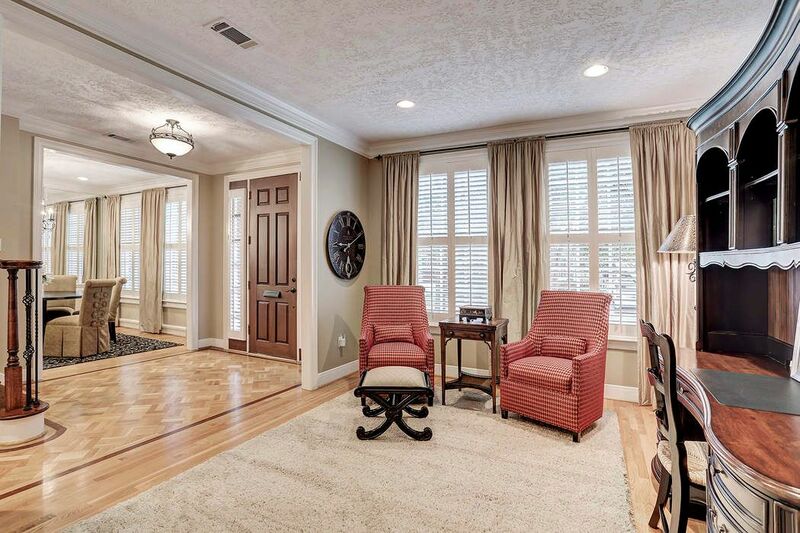 From here, you can see how the family room opens to the breakfast room and kitchen. 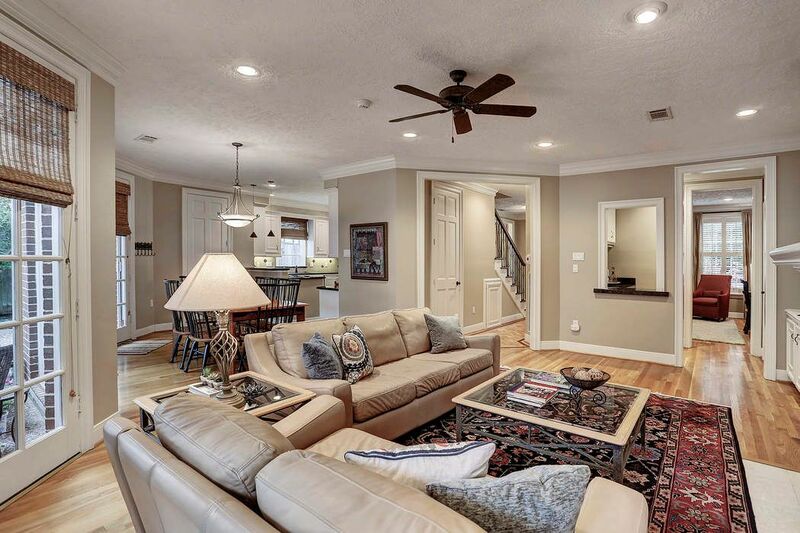 To the right shows the living room accessed through the wet bar. Floor to ceiling windows across the back of this home, allows for brilliant natural light. 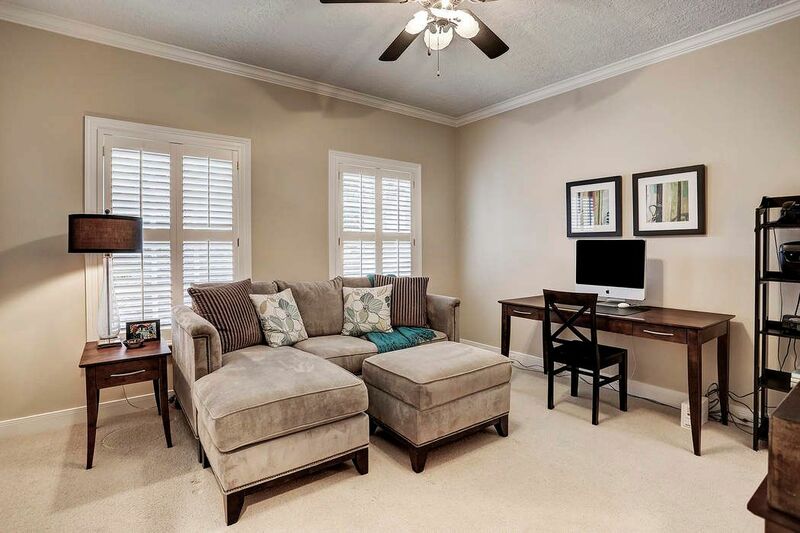 Relax and unwind is this warm and inviting FAMILY ROOM. 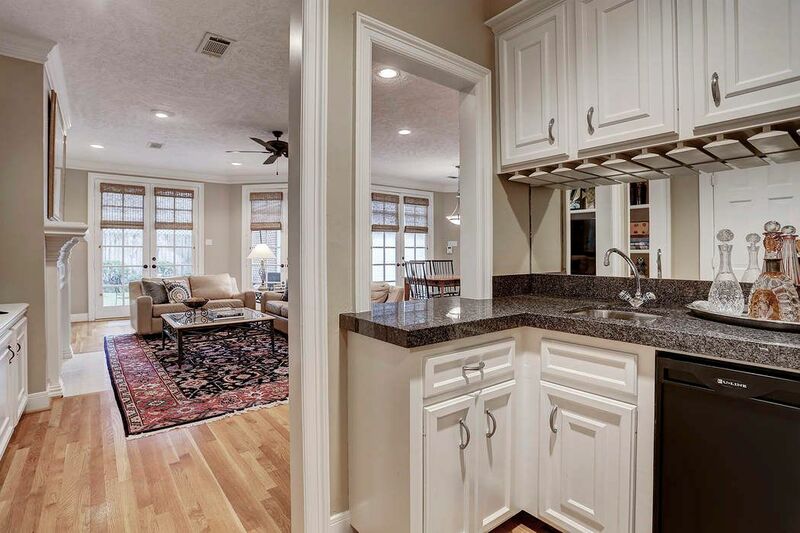 The WET BAR connects the family room and the living room. 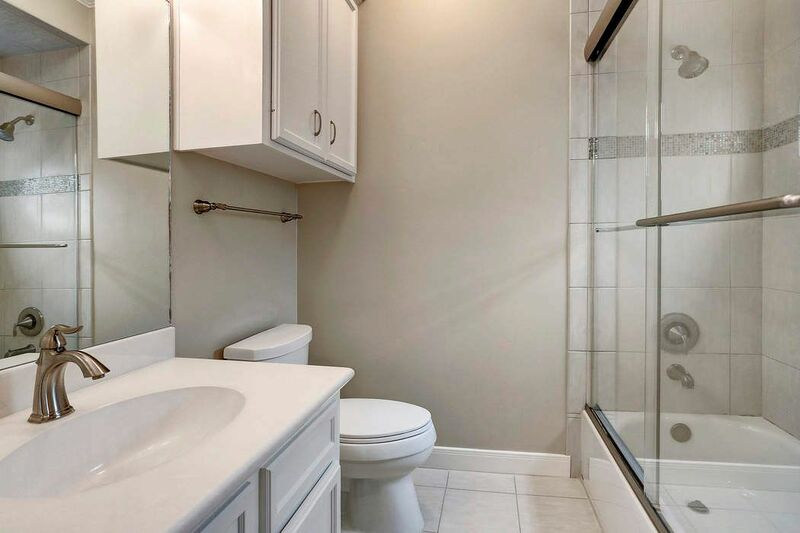 Notice the sink, wine glass storage and the U-Line beverage refrigerator. 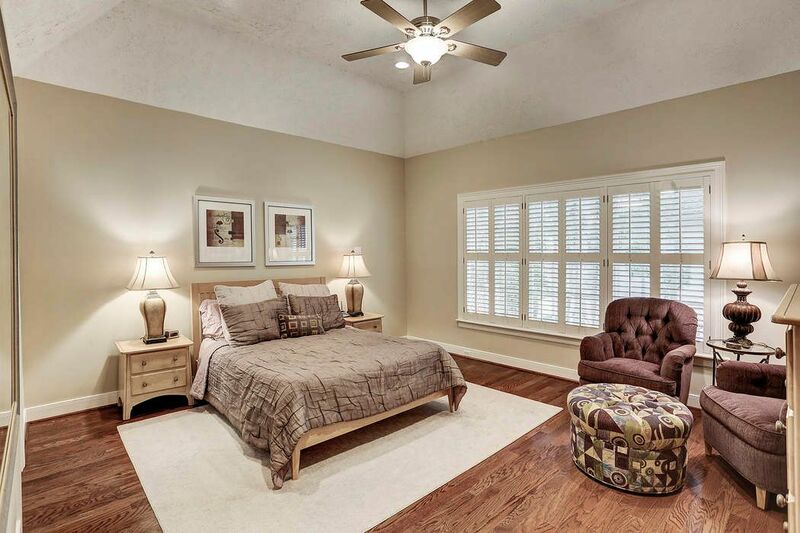 The spacious MASTER BEDROOM (16X14) features wood floors, a raised ceiling and plenty of space for a sitting area. 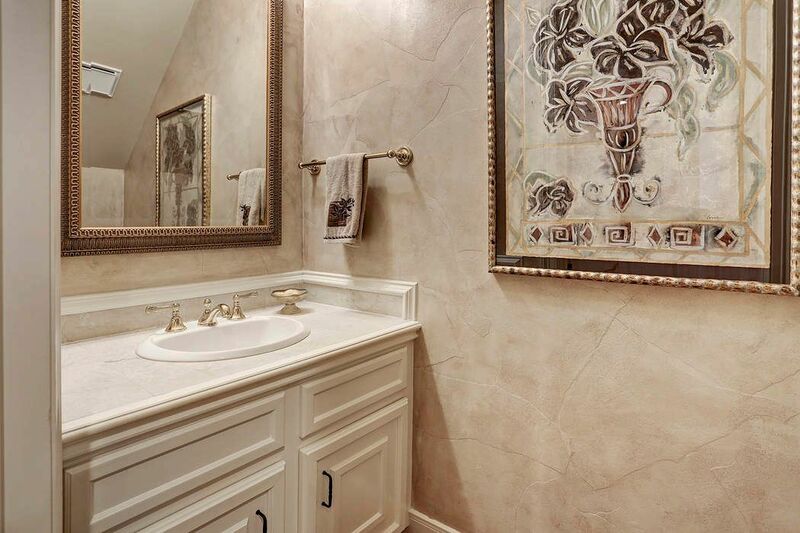 MASTER BATH features separate tub and shower, 2 sinks and a VERY large closet! SECONDARY BEDROOM currently being used as a gameroom. 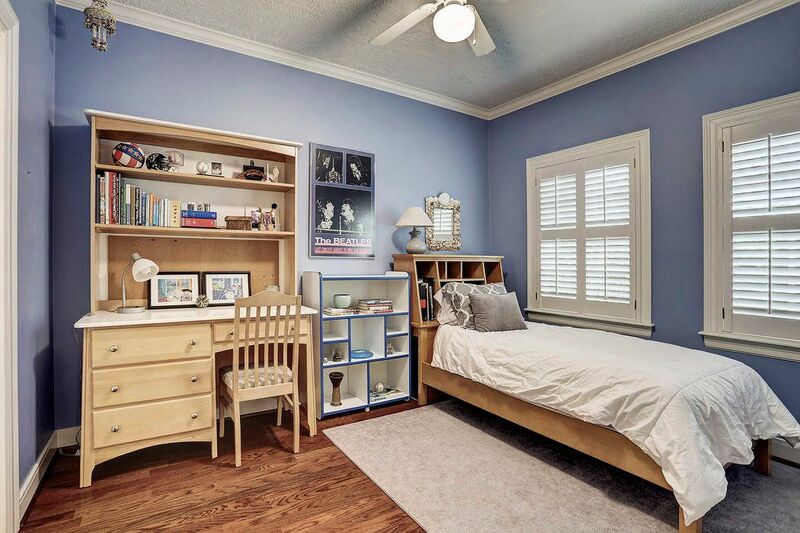 Large SECONDARY BEDROOM shares a hollywood bath with another secondary bedroom. 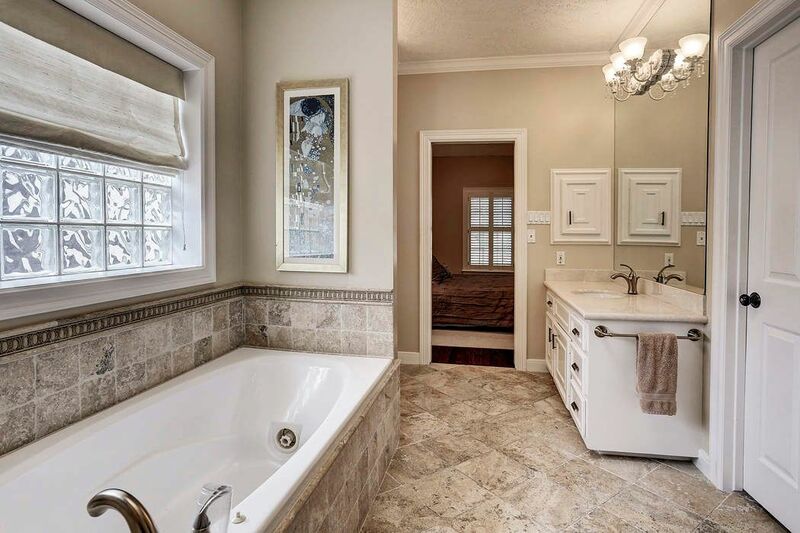 Hollywood bath shared by two of the 3 secondary bedrooms. 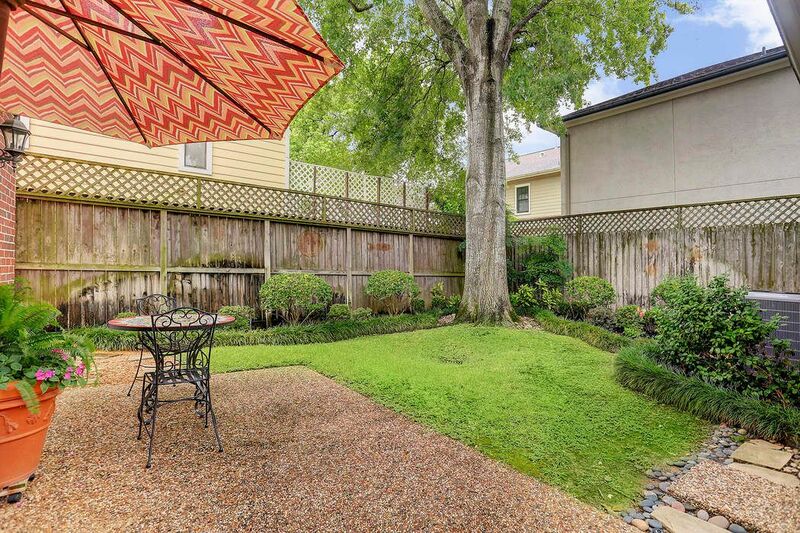 Lovely backyard featuring beautiful landscaping, plenty of grass for play and great patio space. 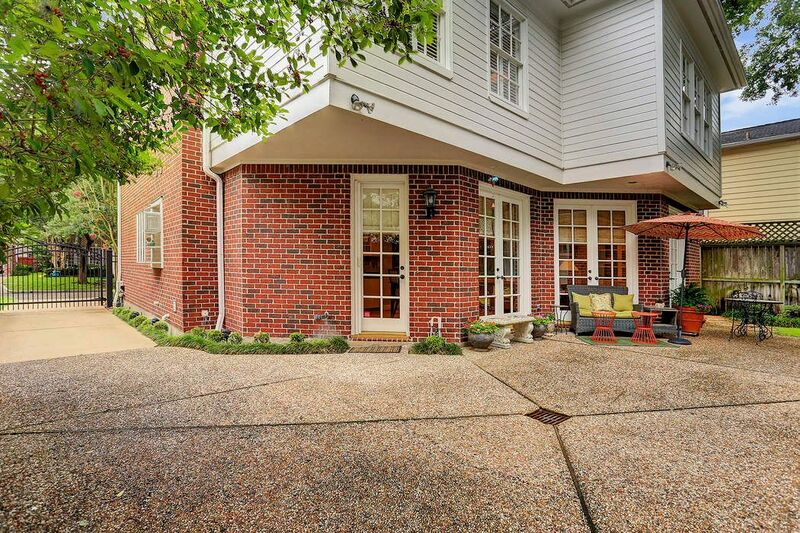 The outdoor space in back extends all the way down to the gated drive. Plenty of room for tricycles, chalking, ball play and more. 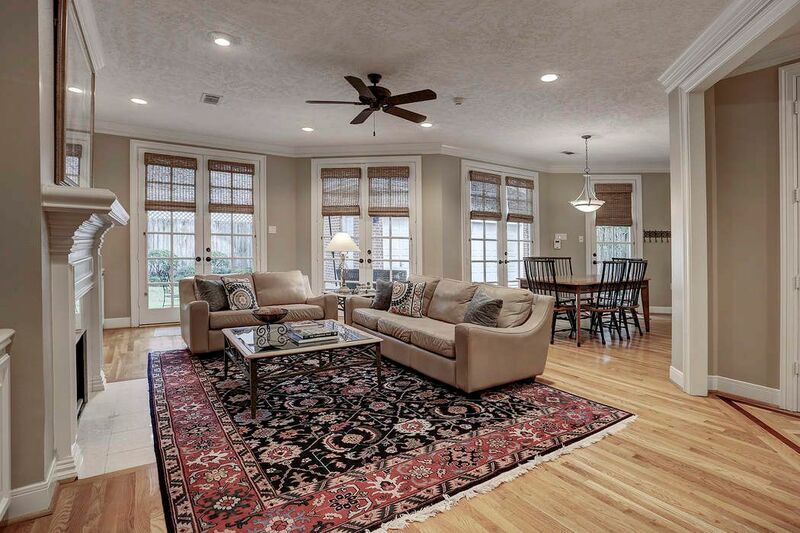 Enjoy living the food life in this classically timeless West U Home located on a very low traffic street! 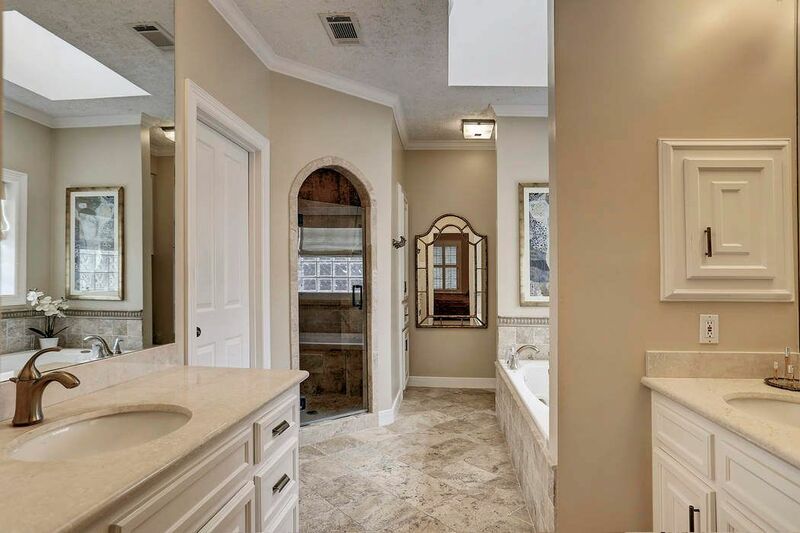 $1,098,000 4 Bedrooms3 Full / 1 Partial Baths2,959 sq. ft. 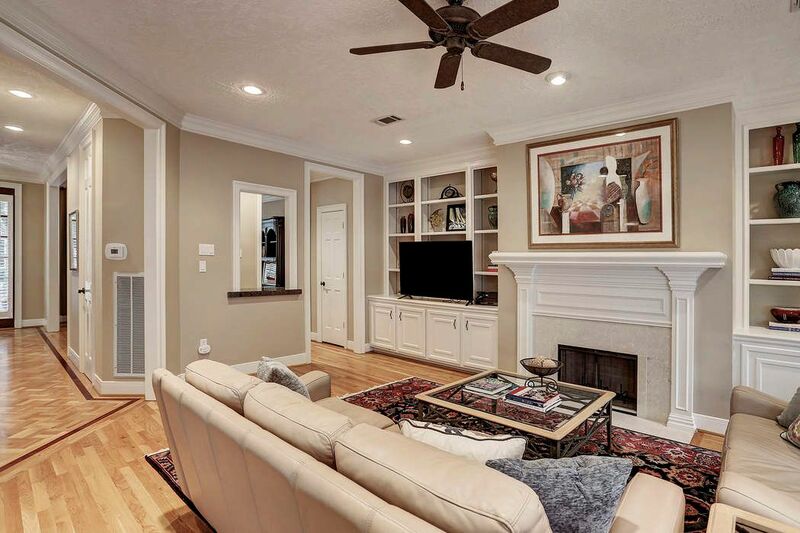 Warm and inviting, this timeless West U home features four bedrooms and three full baths up, brilliant natural light, wood floors throughout (except kitchen and one bedroom), updated baths, updated windows (front) and tons of built-ins and closets for storage. 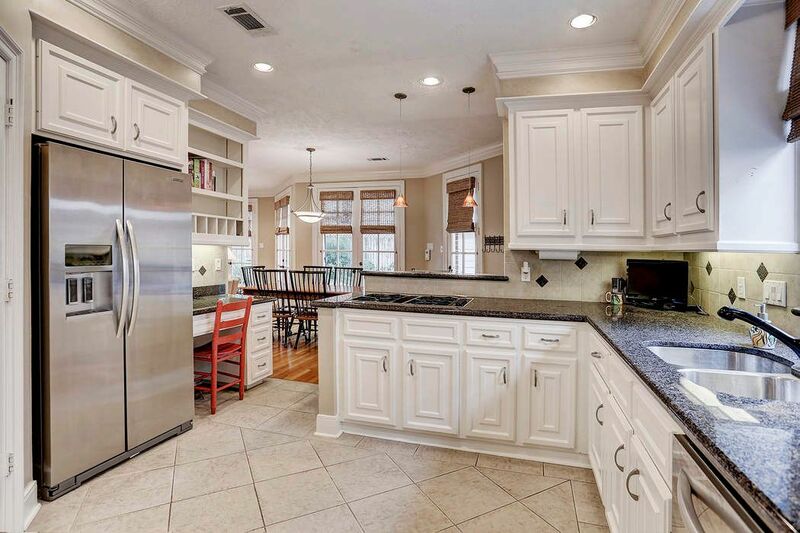 The kitchen opens nicely to the breakfast room and family room. 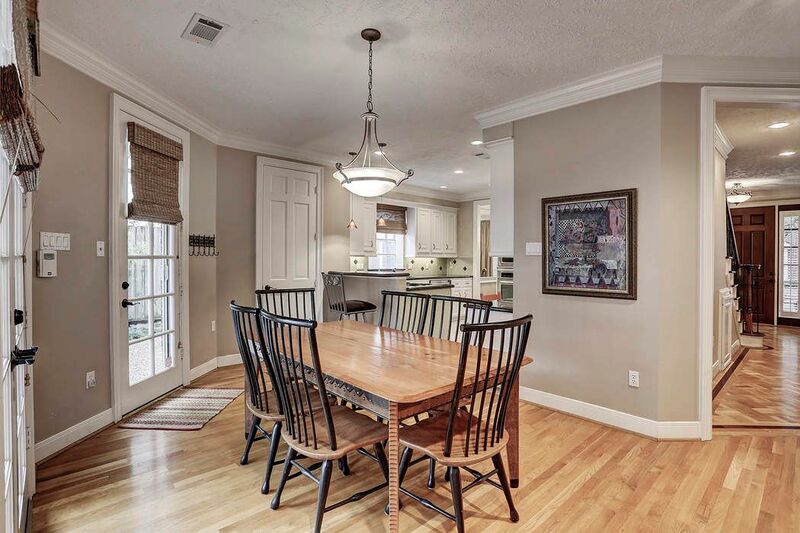 The breakfast room is very large making it a perfect space for dining, crafts, homework and more. 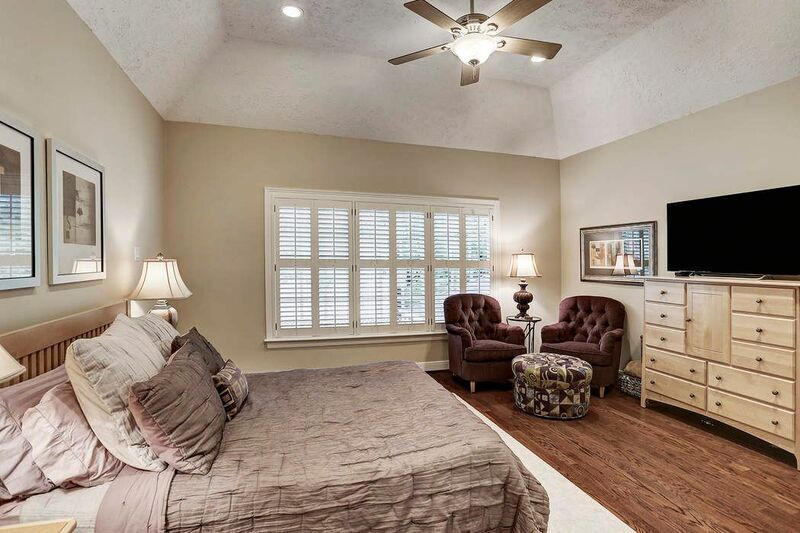 The master suite features a raised ceiling, wood floors, large closet and an updated master bath with marble counter tops. 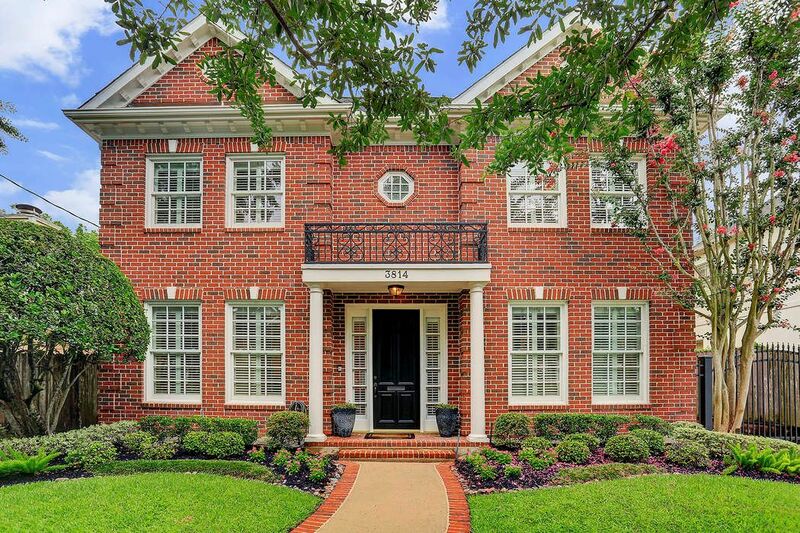 The property offers a driveway gate, sprinkler system, beautiful landscaping and Live Oak trees just waiting for a tree swing. 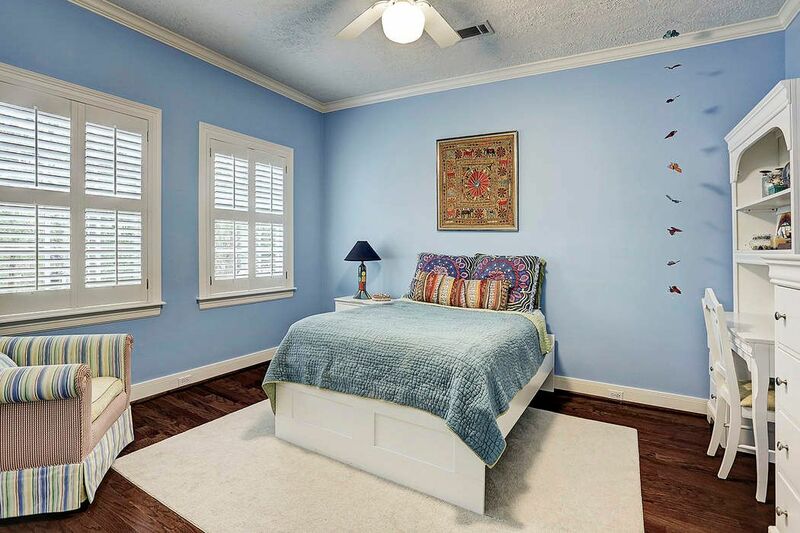 The location allows for an active lifestyle with convenient walkability to West U Elementary, Whole Foods, Starbucks, and more. Low traffic street allowing for front yard activities with kids on the block. 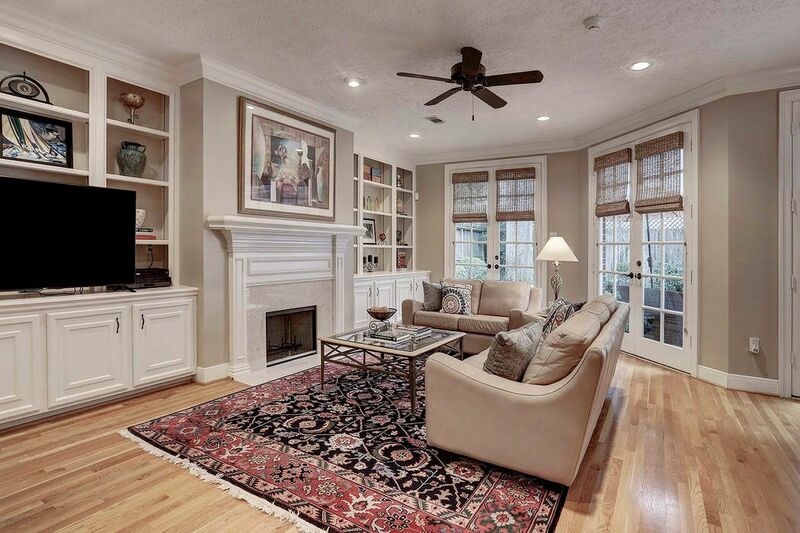 Enjoy living the good life in this classically timeless West U home. 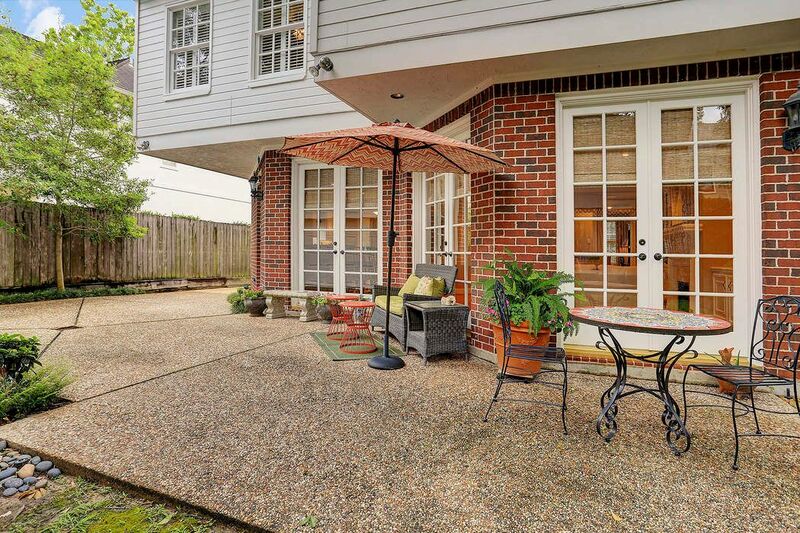 Per sellers, Did Not Flood in Harvey (neither house nor garage).